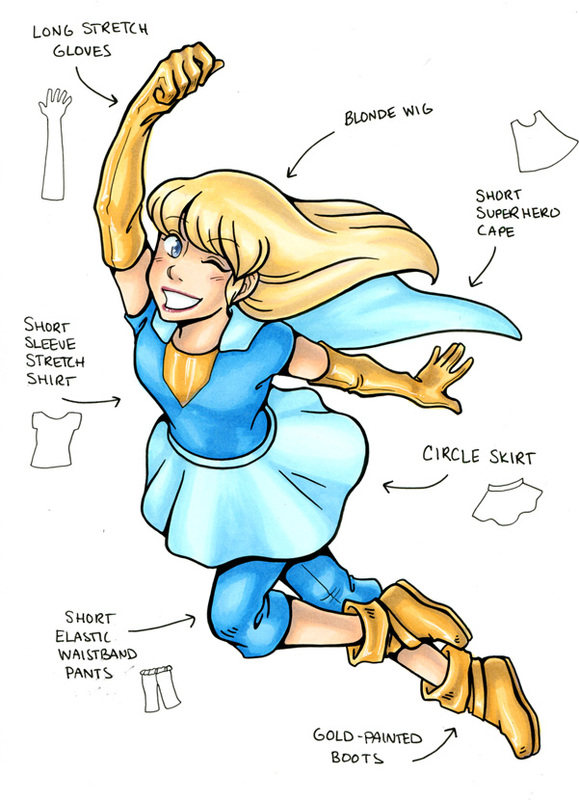 A Step-By-Step Guide to Making and Sewing Your Own Costume Designs! Cosplay is one of the most popular creative hobbies out there right now – but what is it? How do you even start making your own costumes? Well, WORRY NO MORE! Epic Cosplay Costumes is a unique guide to the world of Cosplay for both beginners and veteran cosplayers alike. Featuring numerous tutorials on how to draft basic costume pieces, along with inspiration on how to turn them into the costumes of your imagination! Tutorials range from simple sewing projects, to elaborate coats, as well as touching a little bit on Worbla and EVA and making your own cosplay props! Not only do you learn about how to make costumes, but there are extra sections talking about accessories such as wigs, and the places you can go with your cosplay – namely, Conventions! Learn how to attend, navigate, and compete at the convention of your choice, along with photography and crowd etiquette. The sky’s the limit – become a hero (or villain) today! Greetings! 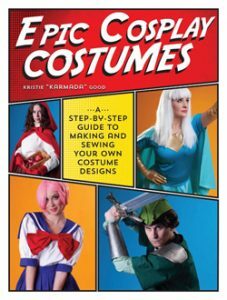 Karmada (Kristie Good) here, and I wanted to talk to you a little bit about the book, Epic Cosplay Costumes. I’m a long time cosplayer (been making costumes since 2001), and over those years I’ve learned a lot. I’m mostly self-taught, (before the dawn of the internet golden age, mind you! ), and over the years I’ve won many craftsmanship awards, and now I like to spend my time spreading my knowledge to others via seminars at conventions and local library events. I designed this book with both beginners and veteran cosplayers in mind, and every tutorial comes with easy to follow diagrams accenting the written directions. All the projects contained in this book were written with the hopes that you’ll take the base knowledge I’ve given you here, and add to, manipulate, and otherwise get creative with the patterns laid before you! My goal was to provide beginner cosplayers with a hearty toolbox of basic garment designs that they can make into many different types of costumes to fit their need. This book is here to help show you how to break down a basic costume into parts, and then create each piece to build back up to your finished costume! 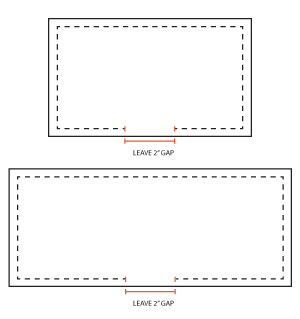 Speaking of toolboxes – there’s a special section of the book devoted to basics such as trimming seams and gathering fabric! There are so many different techniques that cosplayers use to build and accessorize their garments, the more knowledge you have at hand, the faster your costumes will come together! 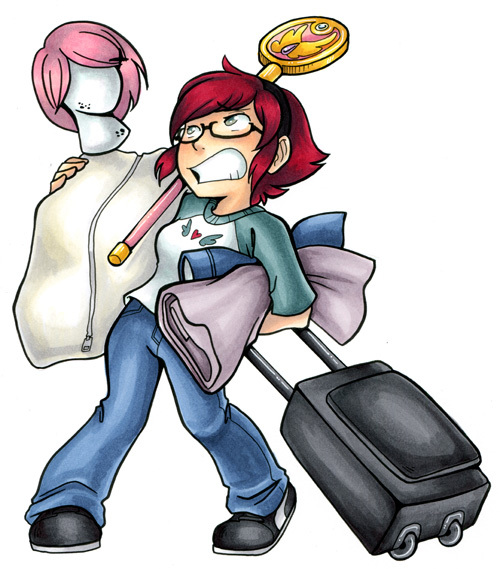 Last but not least, along with the helpful diagrams, there are numerous beautiful marker illustrations throughout the book, highlighting everything from basic supplies, to wig details and convention navigation! I do hope that you find this book both helpful and entertaining – cosplay and conventions can be a lot of fun, and it’s not as difficult to start as you might think! So get out there and MAKE COSTUMES!